This isn’t just about hearing more from your recordings, although that is what first attracts you to the Reference 10’s performance. It’s like a reset button on your music. Tracks you know so well aren’t just replayed as if it were the first time you heard them; they are rebuilt note-by-note in front of you, opening up that music in ways you can’t anticipate until you experience them. Yes this is about detail, space, and dynamic range – Bernard Purdie’s drum pedal on ‘Memphis Soul Stew’ [KIng Curtis Live at Filmore West, ATCO] has a squeak that really high-resolution systems can resolve. Many of those are brutally analytical rendering the track hard to hear because of that ever-present squeak, but the Reference 10 forces you beyond that, to a point where it is just a part of the musical whole again. It’s just this time, there are so many more parts to that whole. Let’s put it this way; anyone who was actually at that concert almost 50 years ago might have heard that squeaky drum pedal, and I guarantee not one person walked out of the concert because of that squeak. That’s how the Reference 10 pushes ahead of the competition. That’s not to say the preamplifier is forgiving, but instead is so informative that detail alone isn’t enough; it’s like you get a new set of ears with the Reference 10 and they take everything in! Going back to more real world preamps is an exercise in disappointment. 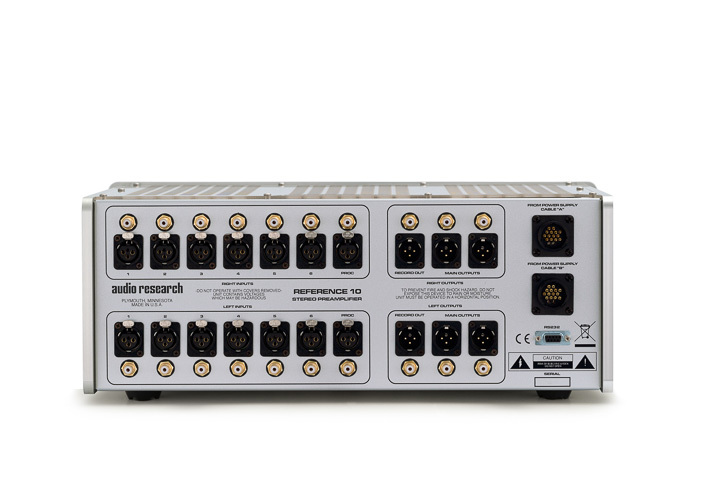 What you learn from the Audio Research Reference 10 preamp is just how deep ‘good enough’ goes, and just how much more you can get from a system if you set ‘good enough’ aside. What you also learn from the preamplifier is that is as much about the listener as it is the system, or even the music played on that system. Many will be content with simply having a system that sounds excellent, but if even that degree of insight is not enough and if you are up for the challenge laid down by the Reference 10 preamplifier, the rewards are remarkable.